Looking for an easy dessert to throw together? Dessert kabobs are a quick, delicious, and simple-to-assemble snack that require no baking. If you *do* have a hot grill handy, though, consider a brief stay above the flames -- especially for skewers with pineapple, peaches, and apples. I've assembled the kabobs above out of cubed store-bought sponge cake, strawberries, Baker's Dipping Chocolate , and a pack of kabob sticks. 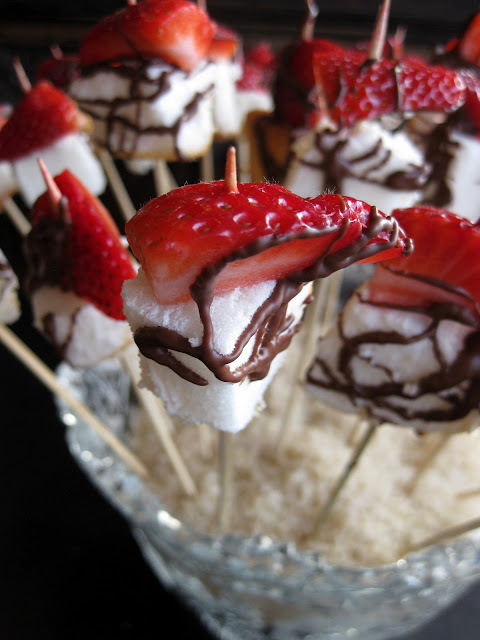 You can also make kabobs out of fruit alone for a healthier snack. Read on for a few more dessert kabob ideas. This color combination makes for a festive Valentine's Day treat. 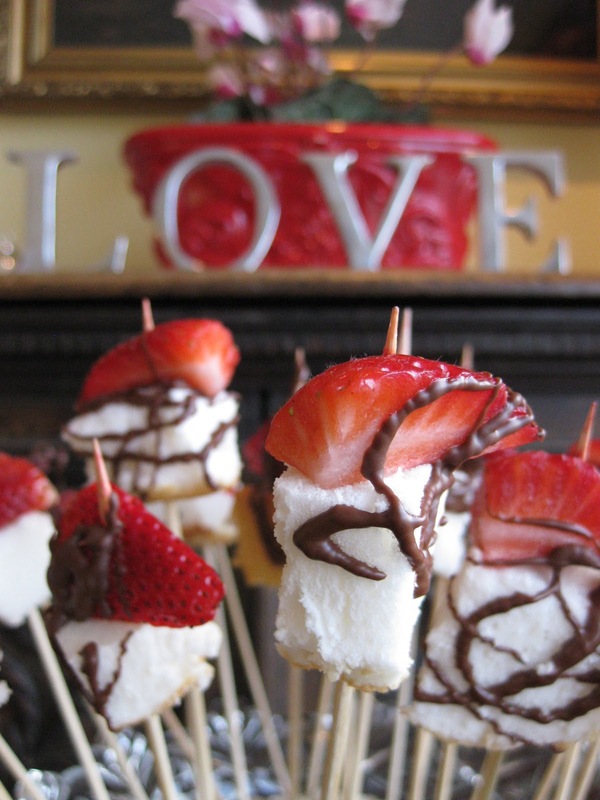 Kabobs are great for spicing up a dessert table at themed parties. Not only are they easy to put together, but they add "height variety" to the dessert spread and can serve as a centerpiece arrangement. Conveniently, the mix-and-match nature of kabobs lets you choose colors appropriate to the event at hand! Any others? You tell me. I've found that an easy way to display the kabobs is by sticking the kabob ends into a bowl, vase, or other container filled with dry rice.